A proposed housing complex made out of repurposed shipping containers has passed its first hurdle in St. Helens following approval from the St. Helens Planning Commission this week. The planning commission unanimously approved a conditional use permit on Tuesday, July 11, which allows developer Carl Coffman to move forward with designs for houses made of recycled shipping containers, which he proposes as an affordable option for potential homeowners in St. Helens. Coffman is a Portland-based developer who also worked in St. Helens to restore the Muckle Building in 2013. 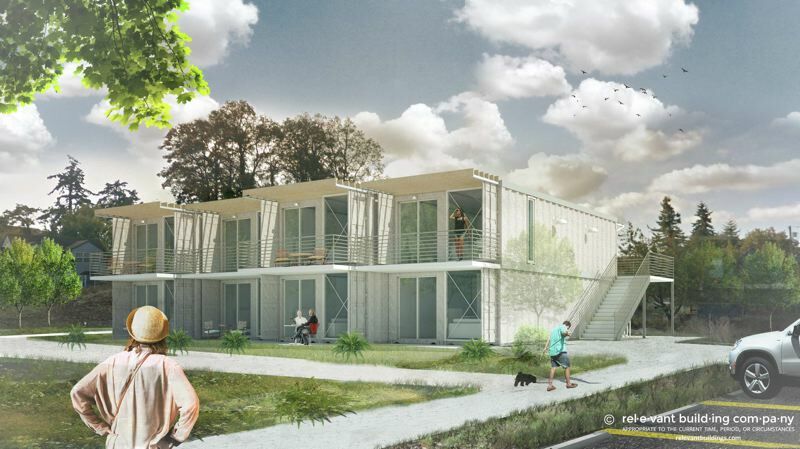 In January, Coffman proposed building an affordable housing complex of multi-family units on the city's waterfront property by using repurposed shipping containers. While the council was interested in the idea of creating affordable housing, no immediate action was taken. By working with the city to pursue the concept of building homes from unconventional materials, as well as building on city-owned land, Coffman refined his initial proposal and scaled back the project. A recent proposal submitted to the St. Helens Planning Commission outlines an eight-unit complex that Coffman would construct on a city-owned property on 7th Street, just west of the 6th Street Park. The housing complex would consist of eight single-bedroom homes, with a shared private and public parking lot on the north side of the property. Coffman, who is designing the homes through his company Relevant Buildings, has proposed using two 8-foot-wide by 40-foot-long containers to build stackable housing units of 640-square-feet each. By keeping building costs low, in the mid $70,000 range, the units could be sold for less than $100,000 each, he explained. Last fall, the median home sales price in St. Helens was $240,000, according to a housing needs assessment by ECONorthwest. Nationally, the average home sales price was $372,500 in 2016, according to the U.S. Census Bureau. The National Association of Realtors estimates the price for a typical home in the first quarter of 2017 at $210,817. 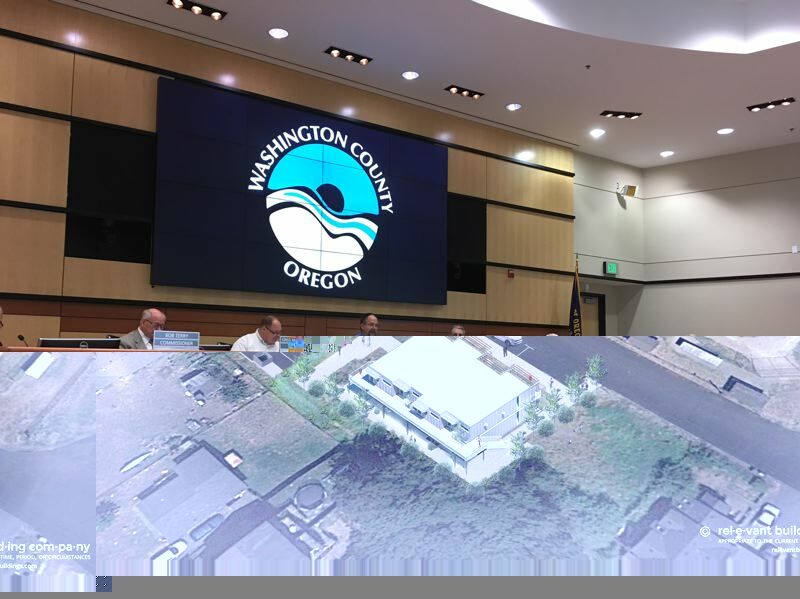 Although the planning commission approved the housing proposal, St. Helens City Planner Jacob Graichen said there is a 14-day waiting period when someone could appeal the decision. An appeal, if filed, would go to the St. Helens City Council. The property where Coffman is proposing to build the housing units is city-owned and zoned for residential use; however, city code requires a special land use permit for any multi-family dwelling, Graichen added.